This article is about the U.S. Government documents. For the 2003 film, see The Pentagon Papers (film). The Pentagon Papers, officially titled Report of the Office of the Secretary of Defense Vietnam Task Force, is a United States Department of Defense history of the United States' political and military involvement in Vietnam from 1945 to 1967. The papers were released by Daniel Ellsberg, who had worked on the study; they were first brought to the attention of the public on the front page of The New York Times in 1971. A 1996 article in The New York Times said that the Pentagon Papers had demonstrated, among other things, that the Johnson Administration "systematically lied, not only to the public but also to Congress". More specifically, the papers revealed that the U.S. had secretly enlarged the scope of its actions in the Vietnam War with the bombings of nearby Cambodia and Laos, coastal raids on North Vietnam, and Marine Corps attacks, none of which were reported in the mainstream media. For his disclosure of the Pentagon Papers, Ellsberg was initially charged with conspiracy, espionage, and theft of government property, but the charges were later dismissed after prosecutors investigating the Watergate scandal discovered that the staff members in the Nixon White House had ordered the so-called White House Plumbers to engage in unlawful efforts to discredit Ellsberg. In June 2011, the entirety of the Pentagon Papers was declassified and publicly released. Shortly after their release in June 1971, the Pentagon Papers were featured on the cover of TIME magazine for revealing "The Secret War" of the United States in Vietnam. Secretary of Defense Robert McNamara created the Vietnam Study Task Force on June 17, 1967, for the purpose of writing an "encyclopedic history of the Vietnam War". McNamara claimed that he wanted to leave a written record for historians, to prevent policy errors in future administrations. Although Les Gelb, Director of Policy Planning in the Pentagon at the time, has said that the notion that they were commissioned as a 'cautionary tale' is a motive that McNamara only used in retrospect. McNamara told others, such as Dean Rusk, that he only asked for a collection of documents rather than the studies he received. Whatever his motives, McNamara neglected to inform either President Lyndon Johnson or Secretary of State Dean Rusk about the study. One report claimed that McNamara planned to give the work to his friend Robert F. Kennedy, who sought the Democratic presidential nomination in 1968. McNamara later denied this, although he admitted that he should have informed Johnson and Rusk. Instead of using existing Defense Department historians, McNamara assigned his close aide and Assistant Secretary of Defense John T. McNaughton to collect the papers. McNaughton died in a plane crash one month after work began in June 1967, but the project continued under the direction of Defense Department official Leslie H. Gelb. Thirty-six analysts—half of them active-duty military officers, the rest academics and civilian federal employees—worked on the study. The analysts largely used existing files in the Office of the Secretary of Defense. In order to keep the study secret from others, including National Security Advisor Walt W. Rostow, they conducted no interviews or consultations with the armed forces, with the White House, or with other federal agencies. McNamara left the Defense Department in February 1968, and his successor Clark M. Clifford received the finished study on January 15, 1969, five days before Richard Nixon's inauguration, although Clifford claimed he never read it. The study consisted of 3,000 pages of historical analysis and 4,000 pages of original government documents in 47 volumes, and was classified as "Top Secret – Sensitive". ("Sensitive" is not an official security designation; it meant that access to the study should be controlled.) The task force published 15 copies; the think tank RAND Corporation received two of the copies from Gelb, Morton Halperin and Paul Warnke, with access granted if at least two of the three approved. Although President Lyndon B. Johnson stated that the aim of the Vietnam War was to secure an "independent, non-Communist South Vietnam", a January 1965 memorandum by Secretary of Defense Robert McNamara stated that an underlying justification was "not to help a friend, but to contain China". The February decision to bomb North Vietnam and the July approval of Phase I deployments make sense only if they are in support of a long-run United States policy to contain China. 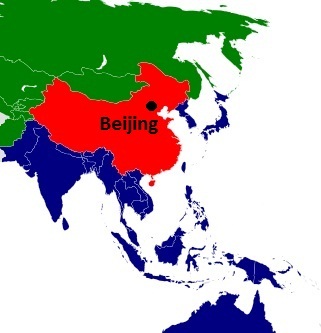 China—like Germany in 1917, like Germany in the West and Japan in the East in the late 30s, and like the USSR in 1947—looms as a major power threatening to undercut our importance and effectiveness in the world and, more remotely but more menacingly, to organize all of Asia against us. (c) the Southeast Asia front. However, McNamara admitted that the containment of China would ultimately sacrifice a significant amount of America's time, money and lives. Under President Harry S. Truman, the U.S. government aided France in its war against the communist-led Viet Minh during the First Indochina War. Under President Dwight D. Eisenhower, the U.S. government played a "direct role in the ultimate breakdown of the Geneva settlement" in 1954 by supporting the fledgling South Vietnam and covertly undermining the communist country of North Vietnam. Under President John F. Kennedy, the U.S. government transformed its policy towards Vietnam from a limited "gamble" to a broad "commitment". Under President Lyndon B. Johnson, the U.S. government began waging covert military operations against communist North Vietnam in defense of South Vietnam. We must note that South Vietnam (unlike any of the other countries in Southeast Asia) was essentially the creation of the United States. "Without U.S. support [Ngo Dinh] Diem almost certainly could not have consolidated his hold on the South during 1955 and 1956." "Without the threat of U.S. intervention, South Vietnam could not have refused to even discuss the elections called for in 1956 under the Geneva settlement without being immediately overrun by the Viet Minh armies." "Without U.S. aid in the years following, the Diem regime certainly, and an independent South Vietnam almost as certainly, could not have survived". More specifically, the United States sent US$28.4 million worth of equipment and supplies to help the Diem regime strengthen its army. In addition, 32,000 men from South Vietnam's Civil Guard were trained by the United States at a cost of US$12.7 million. It was hoped that Diem's regime, after receiving a significant amount of U.S. assistance, would be able to withstand the Viet Cong. The papers identified General Edward Lansdale, who served in the Office of Strategic Services (OSS) and worked for the Central Intelligence Agency (CIA), as a "key figure" in the establishment of Ngo Dinh Diem as the President of South Vietnam, and the backing of Diem's regime thereafter. As written by Lansdale in a 1961 memorandum: "We (the U.S.) must support Ngo Dinh Diem until another strong executive can replace him legally." For the military coup d'etat against Ngo Dinh Diem, the U.S. must accept its full share of responsibility. Beginning in August 1963 we variously authorized, sanctioned and encouraged the coup efforts of the Vietnamese generals and offered full support for a successor government. In October we cut off aid to Diem in a direct rebuff, giving a green light to the generals. We maintained clandestine contact with them throughout the planning and execution of the coup and sought to review their operational plans and proposed new government. Thus, as the nine-year rule of Diem came to a bloody end, our complicity in his overthrow heightened our responsibilities and our commitment in an essentially leaderless Vietnam. As early as August 23, 1963, an unnamed U.S. representative had met with Vietnamese generals planning a coup against President Diem. According to The New York Times, this U.S. representative was later identified to be CIA agent Lucien Conein. Category 2 – Cross-border raids on major Viet Cong supply centers, conducted by South Vietnamese units and US military advisors. Category 3 – Limited air strikes on North Vietnamese targets by unmarked planes flown exclusively by non-US aircrews. The main further question is the extent to which we should add elements to the above actions that would tend deliberately to provoke a DRV reaction, and consequent retaliation by us. 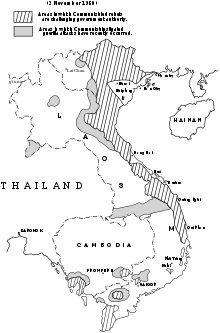 Examples of actions to be considered were running US naval patrols increasingly close to the North Vietnamese coast and/or [sic] associating them with 34A operations. We believe such deliberately provocative elements should not be added in the immediate future while the GVN is still struggling to its feet. By early October, however, we may recommend such actions depending on GVN progress and Communist reaction in the meantime, especially to US naval patrols. While maritime operations played a key role in the provocation of North Vietnam, U.S. military officials had initially proposed to fly a Lockheed U-2 reconnaissance aircraft over the country, but this was to be replaced by other plans. Daniel Ellsberg knew the leaders of the task force well. He had worked as an aide to McNaughton from 1964 to 1965, had worked on the study for several months in 1967, and Gelb and Halperin approved his access to the work at RAND in 1969. Now opposing the war, Ellsberg and his friend Anthony Russo photocopied the study in October 1969 intending to disclose it. Ellsberg approached Nixon's National Security Advisor Henry Kissinger, Senators William Fulbright and George McGovern, and others, but none were interested. In February 1971, Ellsberg discussed the study with The New York Times reporter Neil Sheehan, and gave 43 of the volumes to him in March. Before publication, The New York Times sought legal advice. The paper's regular outside counsel, Lord Day & Lord, advised against publication, but in-house counsel James Goodale prevailed with his argument that the press had a First Amendment right to publish information significant to the people's understanding of their government's policy. The New York Times began publishing excerpts on June 13, 1971; the first article in the series was titled "Vietnam Archive: Pentagon Study Traces Three Decades of Growing US Involvement". The study was dubbed The Pentagon Papers during the resulting media publicity. Street protests, political controversy, and lawsuits followed. To ensure the possibility of public debate about the papers' content, on June 29, US Senator Mike Gravel, an Alaska Democrat, entered 4,100 pages of the papers into the record of his Subcommittee on Public Buildings and Grounds. These portions of the papers, which were edited for Gravel by Howard Zinn and Noam Chomsky, were subsequently published by Beacon Press, the publishing arm of the Unitarian Universalist Association of Congregations. A federal grand jury was subsequently empaneled to investigate possible violations of federal law in the release of the report. Leonard Rodberg, a Gravel aide, was subpoenaed to testify about his role in obtaining and arranging for publication of the Pentagon Papers. Gravel asked the court (in Gravel v. United States) to quash the subpoena on the basis of the Speech or Debate Clause in Article I, Section 6 of the United States Constitution. That clause provides that "for any Speech or Debate in either House, [a Senator or Representative] shall not be questioned in any other Place", meaning that Gravel could not be prosecuted for anything said on the Senate floor, and, by extension, for anything entered to the Congressional Record, allowing the papers to be publicly read without threat of a treason trial and conviction. When Gravel's request was reviewed by the U.S. Supreme Court, the Court denied the request to extend this protection to Gravel or his legislative aide, Leonard Rodberg, because the grand jury subpoena served on them related to a third party rather than any act they themselves committed for the preparation of materials later entered into the Congressional Record. Nevertheless, the grand jury investigation was halted, and the publication of the papers was never prosecuted. Later, Ellsberg said the documents "demonstrated unconstitutional behavior by a succession of presidents, the violation of their oath and the violation of the oath of every one of their subordinates." He added that he leaked the Papers to end what he perceived to be "a wrongful war." Newspapers, as our editorial said this morning, we're really a part of history that should have been made available, considerably longer ago. I just didn't feel there was any breach of national security, in the sense that we were giving secrets to the enemy. The newspaper appealed the injunction, and the case New York Times Co. v. United States (403 U.S. 713) quickly rose through the U.S. legal system to the Supreme Court. On June 18, 1971, The Washington Post began publishing its own series of articles based upon the Pentagon Papers; Ellsberg had given portions to The Washington Post reporter Ben Bagdikian. Bagdikian brought the information to editor Ben Bradlee. That day, Assistant U.S. Attorney General William Rehnquist asked The Washington Post to cease publication. After the paper refused, Rehnquist sought an injunction in U.S. district court. Judge Murray Gurfein declined to issue such an injunction, writing that "[t]he security of the Nation is not at the ramparts alone. Security also lies in the value of our free institutions. A cantankerous press, an obstinate press, a ubiquitous press must be suffered by those in authority to preserve the even greater values of freedom of expression and the right of the people to know." The government appealed that decision, and on June 26 the Supreme Court agreed to hear it jointly with The New York Times case. Fifteen other newspapers received copies of the study and began publishing it. On June 30, 1971, the Supreme Court decided, 6–3, that the government failed to meet the heavy burden of proof required for prior restraint injunction. The nine justices wrote nine opinions disagreeing on significant, substantive matters. As the press rooms of the Times and the Post began to hum to the lifting of the censorship order, the journalists of America pondered with grave concern the fact that for fifteen days the 'free press' of the nation had been prevented from publishing an important document and for their troubles had been given an inconclusive and uninspiring 'burden-of-proof' decision by a sharply divided Supreme Court. There was relief, but no great rejoicing, in the editorial offices of America's publishers and broadcasters. —  Tedford and Herbeck, pp. 225–226. Ellsberg surrendered to authorities in Boston, and admitted that he had given the papers to the press: "I felt that as an American citizen, as a responsible citizen, I could no longer cooperate in concealing this information from the American public. I did this clearly at my own jeopardy and I am prepared to answer to all the consequences of this decision". He was indicted by a grand jury in Los Angeles on charges of stealing and holding secret documents. Federal District Judge William Matthew Byrne, Jr. declared a mistrial and dismissed all charges against Ellsberg and Russo on May 11, 1973, after it was revealed that: agents acting on the orders of the Nixon administration illegally broke into the office of Ellsberg's psychiatrist and attempted to steal files; representatives of the Nixon administration approached the Ellsberg trial judge with an offer of the job of FBI directorship; several irregularities appeared in the government's case including its claim that it had lost records of illegal wiretapping against Ellsberg conducted by the White House Plumbers in the contemporaneous Watergate scandal. Byrne ruled: "The totality of the circumstances of this case which I have only briefly sketched offend a sense of justice. The bizarre events have incurably infected the prosecution of this case." Ellsberg and Russo were freed due to the mistrial; they were not acquitted of violating the Espionage Act. In March 1972, political scientist Samuel L. Popkin, then assistant professor of Government at Harvard University, was jailed for a week for his refusal to answer questions before a grand jury investigating the Pentagon Papers case, during a hearing before the Boston Federal District Court. The Faculty Council later passed a resolution condemning the government's interrogation of scholars on the grounds that "an unlimited right of grand juries to ask any question and to expose a witness to citations for contempt could easily threaten scholarly research". Gelb estimated that The New York Times only published about five percent of the study's 7,000 pages. The Beacon Press edition was also incomplete. Halperin, who had originally classified the study as secret, obtained most of the unpublished portions under the Freedom of Information Act and the University of Texas published them in 1983. The National Security Archive published the remaining portions in 2002. The study itself remained formally classified until 2011. The Pentagon Papers revealed that the United States had expanded its war with the bombing of Cambodia and Laos, coastal raids on North Vietnam, and Marine Corps attacks, none of which had been reported by the American media. The most damaging revelations in the papers revealed that four administrations (Truman, Eisenhower, Kennedy, and Johnson), had misled the public regarding their intentions. For example, the Eisenhower administration actively worked against the Geneva Accords. 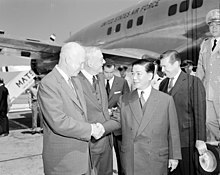 The John F. Kennedy administration knew of plans to overthrow South Vietnamese leader Ngo Dinh Diem before his death in a November 1963 coup. President Johnson had decided to expand the war while promising "we seek no wider war" during his 1964 presidential campaign, including plans to bomb North Vietnam well before the 1964 Election. President Johnson had been outspoken against doing so during the election and claimed that his opponent Barry Goldwater was the one that wanted to bomb North Vietnam. 70% – To avoid a humiliating U.S. defeat (to our reputation as a guarantor). 20% – To keep [South Vietnam] (and the adjacent) territory from Chinese hands. 10% – To permit the people [of South Vietnam] to enjoy a better, freer way of life. ALSO – To emerge from the crisis without unacceptable taint from methods used. NOT – To help a friend, although it would be hard to stay in if asked out. Another controversy was that President Johnson sent combat troops to Vietnam by July 17, 1965, before pretending to consult his advisors on July 21–27, per the cable stating that "Deputy Secretary of Defense Cyrus Vance informs McNamara that President had approved 34 Battalion Plan and will try to push through reserve call-up." In 1988, when that cable was declassified, it revealed "there was a continuing uncertainty as to [Johnson's] final decision, which would have to await Secretary McNamara's recommendation and the views of Congressional leaders, particularly the views of Senator [Richard] Russell." Nixon's Solicitor General Erwin N. Griswold later called the Pentagon Papers an example of "massive overclassification" with "no trace of a threat to the national security." The Pentagon Papers' publication had little or no effect on the ongoing war because they dealt with documents written years before publication. During the campaign, President Johnson kept reiterating that he would never send American boys to fight in Vietnam. As I say, he knew at the time that American boys were going to be sent. In fact, I knew about ten days before the Republican Convention. You see I was being called a trigger-happy, warmonger, bomb happy, and all the time Johnson was saying, he would never send American boys, I knew damn well he would. The existence of these documents, and the fact that they said one thing and the people were led to believe something else, is a reason we have a credibility gap today, the reason people don't believe the government. This is the same thing that's been going on over the last two-and-a-half years of this administration. There is a difference between what the President says and what the government actually does, and I have confidence that they are going to make the right decision, if they have all the facts. ... my first instinct was that if they just hit the papers, people would think this was the definitive history of the war, which they were not, and that people would, would think it was all about lying, rather than beliefs. And look, because we'd never learned that darn lesson about believing our way into these wars, we went into Afghanistan and we went into Iraq. On May 4, 2011, the National Archives and Records Administration announced that the papers would be declassified and released to the Richard Nixon Presidential Library and Museum in Yorba Linda, California, on June 13, 2011. The release date included the Nixon, Kennedy, and Johnson Libraries and the Archives office in College Park, Maryland. The full release was coordinated by the Archives's National Declassification Center (NDC) as a special project to mark the anniversary of the report. The NDC worked with the agencies having classification control over the material to prevent the redaction of the last 11 words of the Pentagon Papers that would not have been made available. It is unknown which 11 words were at issue. The Archives released each volume of the Pentagon Papers as a separate PDF file, available on their website. The Pentagon Papers (2003), directed by Rod Holcomb and Executive Produced by Joshua D. Maurer, is a historical film made for FX, in association with Paramount Television and City Entertainment, about the Pentagon Papers and Daniel Ellsberg's involvement in their publication. The film represents Ellsberg's life, beginning with his work for RAND Corp. and ending with the day on which his espionage trial was declared a mistrial by a federal court judge. The film starred James Spader, Paul Giamatti, Alan Arkin, and Claire Forlani. The Most Dangerous Man in America: Daniel Ellsberg and the Pentagon Papers (2009) is an Oscar nominated documentary film, directed by Judith Ehrlich and Rick Goldsmith, that follows Ellsberg and explores the events leading up to the publication of the Pentagon Papers. Daniel Ellsberg: Secrets - Vietnam and the Pentagon Papers. University of California Television (UCTV). August 7, 2008. "In 1971 Defense Department analyst, former U.S. Marine company commander and anti-Communist Daniel Ellsberg leaked the Pentagon Papers to the media. In this talk, Ellsberg presents an explosive inside account of how and why he helped bring an end to the Vietnam War and Richard Nixon's presidency. He also talks about the current potential for war with Iraq and why he feels that would be a major mistake for the United States." Series: Voices [1/2003] [Public Affairs] [Humanities] [Show ID: 7033]"
The Post (2017) is a historical drama film directed and co-produced by Steven Spielberg from a script written by Liz Hannah and Josh Singer about a pair of The Washington Post employees who battle the federal government over their right to publish the Pentagon Papers. The film stars Tom Hanks as Ben Bradlee and Meryl Streep as Katharine Graham. Daniel Ellsberg is played by Matthew Rhys. ^ "The Pentagon Papers". United Press International (UPI). 1971. Retrieved July 2, 2010. ^ Sheehan, Neil (June 13, 1971). "Vietnam Archive: Pentagon Study Traces 3 Decades of Growing U.S. Involvement". The New York Times. Retrieved August 3, 2015. ^ Apple, R.W. (June 23, 1996). "25 Years Later;Lessons From the Pentagon Papers". The New York Times. Retrieved October 23, 2013. ^ a b Frum, David (2000). How We Got Here: The '70s. New York, New York: Basic Books. p. 43. ISBN 978-0-465-04195-4. ^ "The Watergate Story". The Washington Post. Retrieved October 26, 2013. Watergate prosecutors find a memo addressed to John Ehrlichman describing in detail the plans to burglarize the office of Pentagon Papers defendant Daniel Ellsberg's psychiatrist, The Post reports. ^ "Pentagon Papers Charges Are Dismissed; Judge Byrne Frees Ellsberg and Russo, Assails 'Improper Government Conduct'". The New York Times. May 11, 1973. Retrieved November 4, 2018. ^ "Pentagon Papers". History (U.S. TV channel). Retrieved October 26, 2013. ^ "After 40 Years, Pentagon Papers Declassified In Full". NPR. Retrieved November 4, 2018. ^ a b Gelb, Les and Gladstone, Brooke (January 12, 2018). What the Press and "The Post" Missed. On The Media. ^ a b c d e f g h i j k l m n o p q Correll, John T. (February 2007). "The Pentagon Papers". Air Force Magazine. Retrieved November 4, 2018. ^ Correll, John T. (February 2007). "The Pentagon Papers" (pdf). Air Force Magazine. Retrieved November 4, 2018. 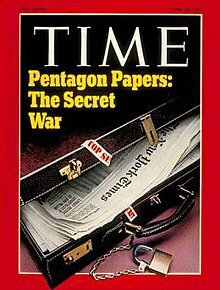 ^ a b "COVER STORY: Pentagon Papers: The Secret War". CNN. June 28, 1971. Retrieved October 26, 2013. ^ "The Nation: Pentagon Papers: The Secret War". Time. June 28, 1971. Retrieved November 4, 2018. ^ a b c d Robert McNamara (November 3, 1965). "Draft Memorandum From Secretary of Defense McNamara to President Johnson". Office of the Historian. ^ a b c d e f g h Sheehan, Neil (June 13, 1971). "Vietnam Archive: Pentagon Study Traces 3 Decades of Growing U.S. Involvement". The New York Times. ^ a b c d e "Evolution of the War. Counterinsurgency: The Kennedy Commitments and Programs, 1961" (PDF). National Archives and Records Administration. Archived from the original (PDF) on 9 August 2013. Retrieved 28 October 2013. ^ a b "The Pentagon Papers, Vol. 2, Chapter 4, "The Overthrow of Ngo Dinh Diem, May-November, 1963"" (PDF). National Archives and Records Administration. Archived from the original (PDF) on August 9, 2013. Retrieved October 28, 2013. ^ Tim Weiner (June 7, 1998). "Lucien Conein, 79, Legendary Cold War Spy". The New York Times. He ran agents behind the Iron Curtain in the early 1950's. He was the C.I.A. 's contact with friendly generals in Vietnam as the long war took shape there. He was the man through whom the United States gave the generals tacit approval as they planned the assassination of South Vietnam's President, Ngo Dinh Diem, in November 1963. ^ a b c d e John A. McCone (July 28, 1964). "Probable Communist Reactions to Certain US or US-Sponsored Courses of Action in Vietnam and Laos". Office of the Historian. Retrieved October 26, 2013. ^ McGeorge Bundy (September 8, 1964). "Courses of action for South Vietnam". Office of the Historian. Retrieved October 26, 2013. ^ Ellsberg, Daniel (August 7, 2008). "Ellsberg: Remembering Anthony Russo". Antiwar.com. Retrieved April 17, 2011. ^ "Introduction to the Court Opinion on The New York Times Co. v. United States Case". Archived from the original on December 4, 2005. Retrieved December 5, 2005. ^ The Pentagon Papers, Senator Mike Gravel edition, Beacon Press. OCLC 248181. ^ a b "How the Pentagon Papers Came to be Published by the Beacon Press: A Remarkable Story Told by Whistleblower Daniel Ellsberg, Dem Presidential Candidate Mike Gravel and Unitarian Leader Robert West". Democracy Now!. Archived from the original on July 3, 2007. Retrieved October 28, 2013. ^ "The Pentagon Papers Case". Retrieved December 5, 2005. ^ a b "New York Times Co. v. United States, 403 U.S. 713 (1971)". Retrieved December 5, 2005. ^ "NEW YORK TIMES CO. v. UNITED STATES, 403 U.S. 713 (1971)". ^ "Tedford & Herbeck, Freedom of Speech in the United States, 5 ed". Archived from the original on December 2, 2005. Retrieved December 5, 2005. ^ Meislin, Richard J. Popkin Faces Jail Sentence In Contempt of Court Case, The Harvard Crimson, March 22, 1972. ^ Perlstein, Rick (2008). Nixonland: The Rise of a President and the Fracturing of America. Simon and Schuster. ISBN 978-0-7432-4302-5. ^ Chronology. "U.S. Ground Strategy and Force Deployments, 1965-1968," (1971). Pp. 277-604 in The Pentagon Papers, Gravel Edition Vol. 4. Boston: Beacon Press. ^ John Burke and Fred Greenstein, How Presidents Test Reality: Decisions on Vietnam, 1954 and 1965. (1989) p. 215 n. 30. ^ Steven Aftergood (May 2011). "Pentagon Papers to be Officially Released". Federation of American Scientists, Secrecy News. Retrieved May 13, 2011. ^ Jason, Ukman; Jaffe, Greg (June 10, 2011). "Pentagon Papers to be declassified at last". The Washington Post. Retrieved June 13, 2011. ^ a b c O'Keefe, Ed (June 13, 2011). "Pentagon Papers released: How they did it". The Washington Post. Retrieved June 13, 2011. ^ Roberts, Sam (July 23, 2011). "Finding the Secret 11 Words". The New York Times. Retrieved April 18, 2012. ^ National Archives and Records Administration (June 13, 2011). "Pentagon Papers". Archived from the original on June 13, 2011. Retrieved June 13, 2011. McNamara, Robert (1996). In Retrospect. Random House. ISBN 978-0-679-76749-7. The Pentagon Papers: The Defense Department History of United States Decisionmaking on Vietnam. Boston: Beacon Press. 5 vols. "Senator Gravel Edition"; includes documents not included in government version. ISBN 0-8070-0526-6 & ISBN 0-8070-0522-3. Neil Sheehan. The Pentagon Papers. New York: Bantam Books (1971). ISBN 0-552-64917-1. Daniel Ellsberg. Secrets: A Memoir of Vietnam and the Pentagon Papers. New York: Viking (2002). ISBN 0-670-03030-9. George C. Herring (ed.) The Pentagon Papers: Abridged Edition. New York: McGraw-Hill (1993). ISBN 0-07-028380-X. George C. Herring (ed.) Secret Diplomacy of the Vietnam War: The Negotiating Volumes of the Pentagon Papers (1983). The Pentagon Papers. U.S. National Archives. August 15, 2016. The complete, unredacted report. Pentagon Papers (Complete Gravel ed.). mtholyoke.edu. Complete text with supporting documents, maps, and photos. "Battle for the Pentagon Papers". Top Secret. a resource site that supports a currently playing docu-drama about the Pentagon Papers. The site provides historical context, time lines, bibliographical resources, information on discussions with current journalists, and helpful links. Gravel, Mike & Ellsberg, Daniel (July 7, 2002). "Special: [How the Pentagon Papers Came to Be Published by the Beacon Press". Democracy Now!. Archived from the original on July 3, 2007. CS1 maint: Uses authors parameter (link) (audio/video and transcript). "Nixon Tapes & Supreme Court Oral Arguments". gwu.edu. Holt, Steve (1971). "The Pentagon Papers: A report". WCBS Newsradio 880 (WCBS-AM New York). Archived from the original on January 11, 2008. Part of WCBS 880's celebration of 40 years of newsradio. Trzop, Allison. Beacon Press & The Pentagon Papers. Beacon Press. "The Most Dangerous Man in America: New Documentary Chronicles How Leak of the Pentagon Papers Helped End Vietnam War". Democracy Now!. September 16, 2009.